This week has been a rough one because William has been in pain for most of the week. We have been in constant contact with our Palliative Care nurses. This was supposed to be his first week of school, but that has been postponed until next week. We are still unsure as to the exact cause of William’s pain. I will say that he has an extremely high tolerance for pain, so to see him screaming/crying for most of the day is heart wrenching. We are being scheduled to see a GI specialist in September as we think this is related to his digestive tract. The surgeons at Children’s Hospital looked over his x-rays and ultrasounds and didn’t think anything was atomically wrong and his G-tube looked good. To make things worse, pain medicine cannot be given because it slows down the digestive tract and will make the situation worse. However, I couldn’t give two hoots about slowing down the digestive tract when my son is screaming in pain, but I understand the doctors’ dilemma. I always try and look for blessings when going through such trials, and I have found several. Jason has been here this week working from home. This has helped me tremendously! He can take and pick up Addie, and I can devote all my time to William as necessary. It was Addie’s first week in the 5th Grade, and we wanted her to feel special as well. I couldn’t have done this without Jason’s help. 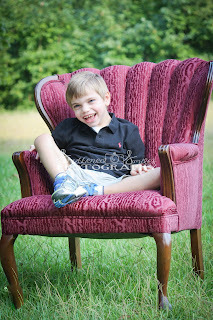 I am also grateful that, with all that is going on, William has not had an increase in seizures. Usually, when the body is going through something it will trigger a seizure, and this hasn’t happened this week. We’re very grateful on that front. I never want William to feel alone. This is a prodding thought always in my mind. I have held him almost 24-7 this week, and honestly, I cannot put him down. There is nothing that warrants my time more. There will be a time when I will want to just hold him, and it won’t be a possibility. So, I see this as blessing as well. I see things so clearly now with our situation. I am more focused on things that really matter: God, my children’s salvation and my marriage. I see people get so bogged down into things that don’t matter and just go through the day-to-day things without seeing the blessings that every day holds. I was the same way, it is human nature. I take nothing for granted anymore, and this new situation with William’s being in pain has even taught me to be grateful when he is, so called, “out of it.” I was worried about him before because he didn’t have the energy he once had and wasn’t expressing his personality. Let’s just say I would much rather see him calm rather than in pain. My heart pours out to parents whose children are in constant pain. You want to help in any way, take all of it away, and you cannot. The helplessness these parents feel must be tremendous. Hopefully, we will get to the bottom of this, or it will just go away. That tends to be trend with this disease; before you can figure it out, the situation goes away on its own. Therefore, I try not to rush to doctors all the time because they really are clueless. Thank you for your continued support and prayers. We appreciate all your thoughts and well wishes! Praying for William! You are so right about the things that really matter. It is so easy to get so busy with everything that you lose focus on the truly important things. I hope and pray that William starts to feel better soon. I hate to think of him being in pain. And you not having any answers. Our God is faithful. I pray William will be better soon! I love that picture of him in the chair. He's a beautiful boy. Love y'all ! I came across your blog unexpectedly. 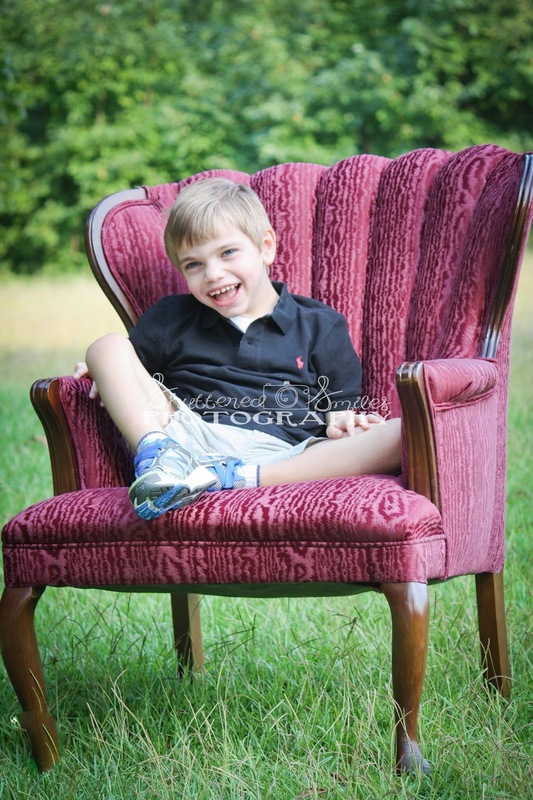 I read some of William's story and wanted to suggest that you look into a Pediatric Chiropractor. I myself am a Pediatric Chiropractor in California. While we've never had a child with William's exact diagnosis, he is dealing with some heavy issues rooted in the nervous system. Our specialty puts a huge focus on the function of a child's nervous system and balancing the neurology so that self-healing can occur. If you're open to having an evaluation done for William, I'd be more than happy to help you find a doctor near you. Feel free to email me with any questions and whether you'd like my support in finding William a Pediatric Chiropractor.